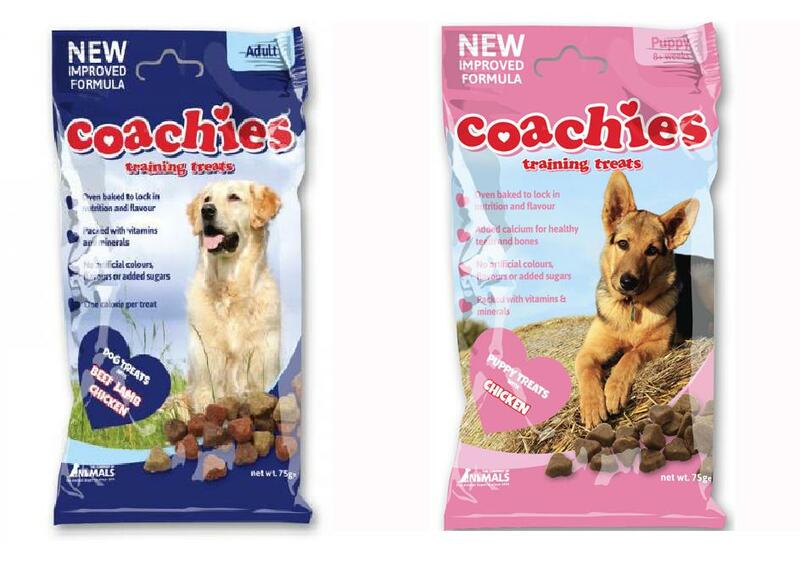 Coachies Training Treats are perfect to use in reward based training. The semi-moist, heart shaped treats are highly palatable and don’t break up in your pocket or treat bag. 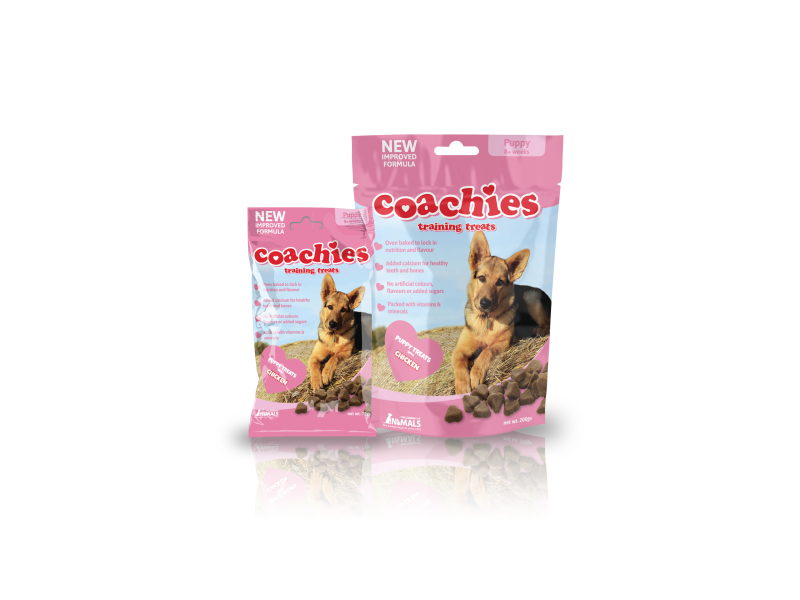 Coachies treats are packed with vitamins and minerals and do not contain any artificial flavours or colours. 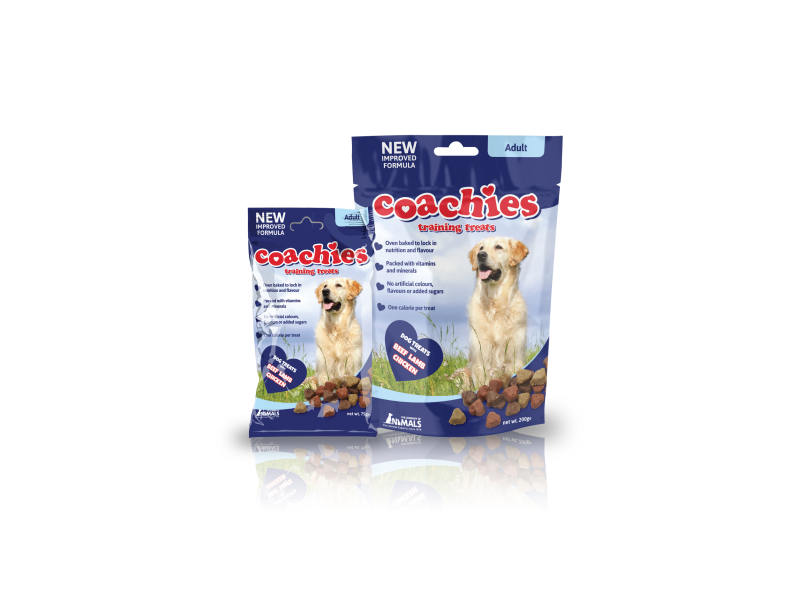 For the perfect storage for your Coachies when out with your dog, place inside the Coachies Dog Treat Bag. Protein 21.5%, Crude Fibre 1%, Fat Content 9%, Crude Ash 7%, Moisture 20%. Protein 22%, Crude Fibre 1%, Fat Content 7.5%, Crude Ash 9.5%, Moisture 20%. 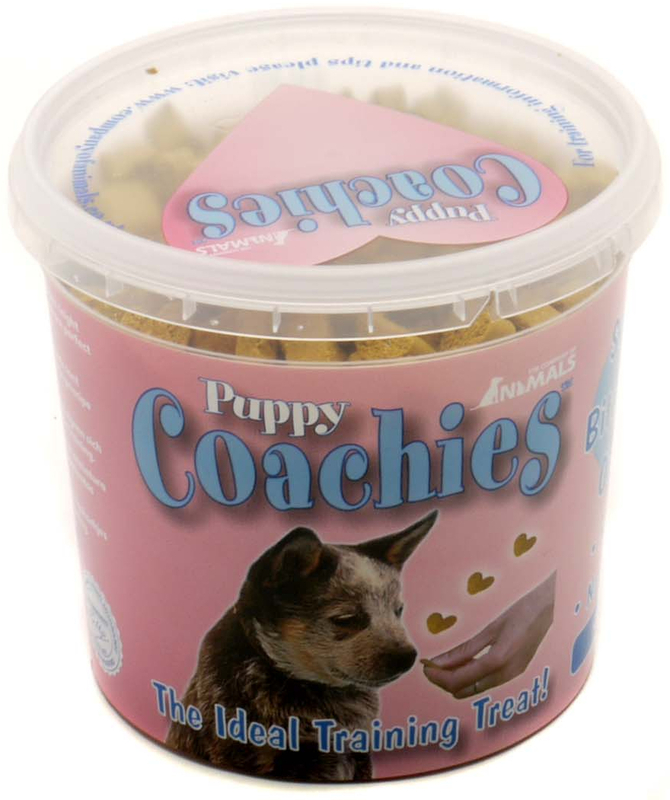 Below are some recent questions we've received regarding Coachies Dog & Puppy Training Treats, including answers from our team. I have an 11 week old puppy and have started using the puppy treats as s toilet training aid. I have noticed that since using them my puppy seems to be slightly constipated , is this normal ? Constipation is not normally caused by these treats. Are you sure the puppy is actually constipated? If in doubt, you should get your vet to check the puppy, but as long as he/she is eating, drinking, remains bright and perky and not vomiting, then there is unlikely to be a problem. Has he/she been wormed regularly?